Reading God’s Word Today, by George Martin, is a clear, thoughtful, and eminently readable book on getting the most out of spending time reading Scripture. Though brief (less than 200 pages), it is by no means short on substance. Though written from a Catholic perspective, it is one of the few books, besides the Bible itself, I sincerely wish I could place into the hands of every Christian, Protestant and Catholic alike! 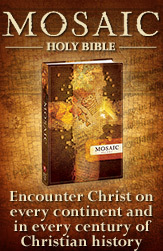 The second half of the book discusses the proper understanding of Scripture as the Word of God revealed to humanity. Martin explores God’s use of inspired human agent in the process of divine revelation and how the Bible consequently revels God to us and recreates us, by the power of the Spirit, into his people. In this section, he anticipates some common questions and objections about the origin of Scripture, discusses the necessity of understanding the background and cultural setting (especially of the Old Testament), and points out how the infant church was impacted by both Jesus’ teachings and the writings of the Apostles. This little work is a very practical, wonderfully helpful book and a gift given to the body of Christ from Martin’s pen. Every believer at every stage of their Christian life would benefit from reading this book…and then reading it again later on to be reminded of its great truths. As a Christian, this book reminded me of the great treasure we have be been given by God in the Holy Scriptures–I read it, marked it, and re-read it. As a chaplain, this is one of the books I hope to be able to make available to all I encounter from day to day, whether Protestant or Catholic. As a parent, besides Holy Scripture and our Catechisms, I will definitely work through Reading God’s Word Today with my children that their understanding of God’s Word might be deepened. I wrote this review of Reading God’s Word Today for the Tiber River Blogger Review program, created by Aquinas and More Catholic Goods, the largest Cathlic store online. For more information and to purchase, please visit Aquinas and More Catholic Goods.